"Always a big hit. Make in a day in advance and take out when needed. Will go quickly!" 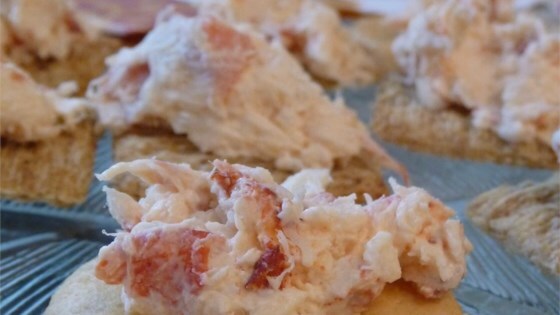 In a medium bowl, mix together lobster meat, onion, lemon juice, cream cheese, butter and prepared horseradish. Continue mixing until smooth. Cover and chill in the refrigerator until serving. this was gross, will not make again. smooth and incredible flavor. used 2 whole lobster tails steamed. spread really enhances the lobster flavor.